Sir Christopher Frank Carandini Lee, CBE, CStJ (born May 27, 1922, died June 7, 2015) was an English actor and musician. Lee initially portrayed villains and became famous for his role as Count Dracula in a string of Hammer Horror films. 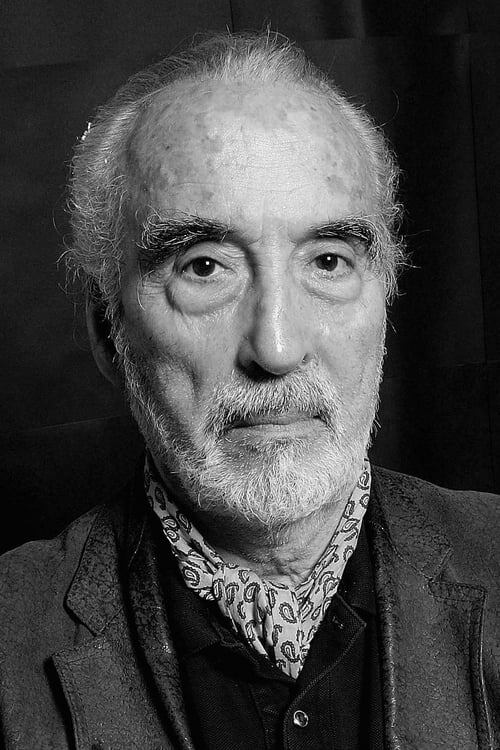 Other notable roles include Lord Summerisle in The Wicker Man (1973), Francisco Scaramanga in The Man with the Golden Gun (1974), Count Dooku in Star Wars episodes II and III (2002, 2005) and Saruman in The Lord of the Rings film trilogy (2001–2003). Lee considers his most important role to have been his portrayal of Pakistan's founder Muhammad Ali Jinnah in the biopic Jinnah (1998). He is well known for his deep, strong voice. Lee has performed roles in 266 films since 1948 making him the Guinness book world record holder for most film acting roles ever. He was knighted in 2009 and received the BAFTA Fellowship in 2011.